Orthodox Christianity can be very beautiful, but like any religion it has its dark side as well. I’ve written about the good, the bad, and the weird in some of the books and articles below. Dumitru Stăniloae, The Holy Trinity: In the Beginning there was Love. Translated by Roland Clark. Brookline, MA: Holy Cross Press, 2012. Fr. 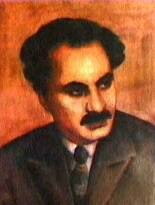 Stăniloae (1903-1993) is widely considered as one of the greatest Orthodox theologians of the twentieth century. He was Professor of Dogmatics at the Theological Institute in Bucharest, Romania, from 1947 to 1973. In 1990 he was made a Member of the Romanian Academy. Roland Clark. “The Stork’s Nest: Schism and Revival in Modern Romania, 1921-1924.” Pleroma, 19/1 (2018): 81 – 114. Feeling threatened by the sudden popularity of neo‑Protestantism in Romania and equipped with new church‑building strategies by their studies abroad, in the early twentieth century leaders of the Romanian Orthodox Church promoted regular Bible study, Christian social activism, and increased piety as a way of renewing Orthodox spirituality. After the First World War, two of their students, Teodor Popescu and Dumitru Cornilescu, led a revival at St Ştefan’s Church in Bucharest, colloquially referred to as The Stork’s Nest. This article examines the schism that emerged between the revivalist preachers and their former teachers and mentors. Both sides developed opposing viewpoints on the authority of the Bible, the usefulness of Cornilescu’s Biblical translation, the role of the saints and the Virgin Mary, prayers for the dead, and the role of the Church in salvation. Popescu’s opponents turned him out of the Orthodox Church after it was discovered that he had changed the liturgy, and a new community of believers was born, known as “Tudorists”, or “Christians According to the Scriptures”. Roland Clark. Nationalism, Ethnotheology and Mysticism in Interwar Romania. Carl Beck Papers in Russian and East European Studies, No. 2002, Center for Russian and East European Studies, University of Pittsburgh, 2009. Scholarship on Christian mysticism underwent a renaissance in Romania between 1920 and 1947, having a lasting impact on the way that Romanian theologians and scholars think about Romanian Orthodoxy Christianity in general, and mysticism in particular. Fascist and ultra-nationalist political and intellectual currents also exploded into the Romanian public sphere at this time. Many of the same people who were writing mystical theology were also involved with ultra-nationalist politics, either as distant sympathizers or as active participants. This paper situates the early work of the renowned theologian Dumitru Stăniloae within the context of mystical fascism, nationalist apologetics, and theological pedagogy in which it was originally produced. It shows how a new academic discipline formed within an increasingly extremist political climate by analyzing the writings of six key men whose work significantly shaped Romanian attitudes towards mysticism: Nae Ionescu, Mircea Eliade, Lucian Blaga, Nichifor Crainic, Ioan Gh. Savin, and Dumitru Stăniloae. The contributions of these thinkers to Romanian theology are not dismissed once their nationalism is noted, but they are contextualized in a way that allows twenty-first century thinkers to move beyond the limitations of these men and into fresh ways of thinking about the divine-human encounter. Roland Clark. “Orthodoxy and Nation-Building: Nichifor Crainic and Religious Nationalism in 1920s Romania.” Nationalities Papers, 40/4 (2012): 525-543. This article uses the early career of Nichifor Crainic (1889–1972) to show why Orthodox Christianity became a central element of Romanian ultranationalism during the 1920s. Most Romanian nationalists were atheists prior to the First World War, but state-sponsored nation-building efforts catalyzed by territorial expansion and the incorporation of ethnic and religious minorities allowed individuals such as Crainic to introduce religious nationalism into the public sphere. Examining Crainic’s work during the 1920s shows how his nationalism was shaped by mainstream political and ideological currents, including state institutions such as the Royal Foundations of Prince Carol and the Ministry of Cults and of Art. Despite championing “tradition,” Crainic was committed to changing Romanian society so long as that change followed autochthonous Romanian models. State sponsorship allowed Crainic to promote religious nationalism through his periodical Gândirea. Crainic’s literary achievements earned him a chair in theology, from which he pioneered new ways of thinking about mysticism as an expression of Romanian culture and as crucial to understanding the Romanian nation. Roland Clark. “Nationalism and Orthodoxy: Nichifor Crainic and the Political Culture of the Extreme Right in 1930s Romania.” Nationalities Papers, 40/1 (2012): 107-126. 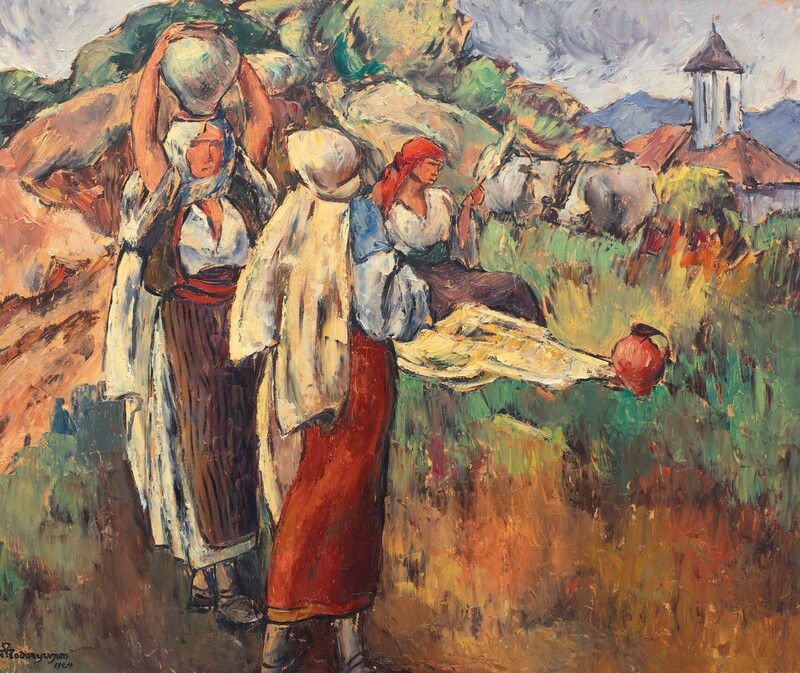 This article explores the interplay of religion, antisemitism, and personal rivalries in building the ultra-nationalist movement in 1930s Romania, using the career of Nichifor Crainic as a case study. 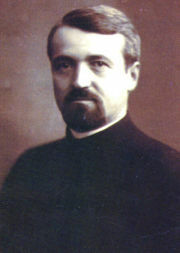 As a theologian, Crainic created and taught a synthesis of nationalism and Romanian Orthodoxy which was broadly accepted by most ultranationalists in interwar Romania. As a journalist, Crainic directed several newspapers which spearheaded acrimonious attacks on democratic and ultranationalist politicians alike. 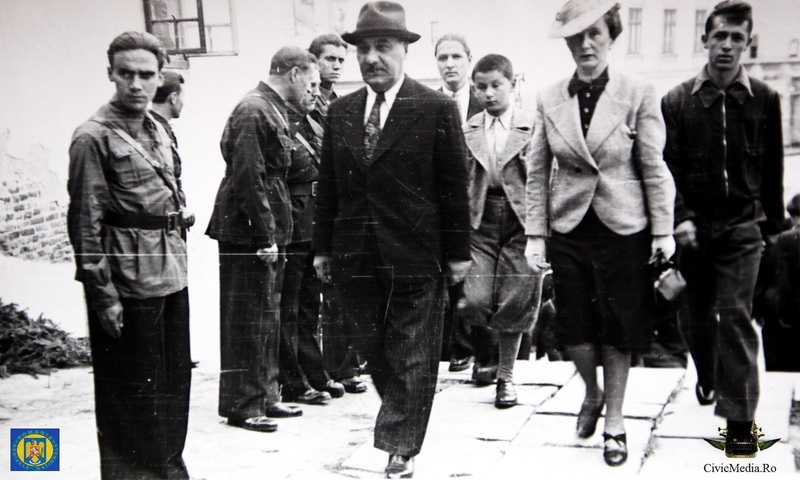 As a politician, he joined and left both Corneliu Zelea Codreanu’s Legion of the Archangel Michael and A.C. Cuza’s National Christian Defense League before attempting to form his own Christian Workers’ Party. Crainic’s writings ultimately earned him a place as a minister in two governments and membership of the Romanian Academy. His career reveals an ultranationalist movement rife with division and bickering but united around a vaguely defined ideology of religious nationalism, xenophobia, and antisemitism. Roland Clark. “Regional Cooperation According to Interwar Romanian Nationalists.” In The Balkans and Caucasus: Parallel Processes on Opposite Sides of the Black Sea, edited by Ivan Biliarsky, Ovidiu Cristea and Anca Ovoreanu. Newcastle upon Tyne: Cambridge Scholars Publishing, 2012, 84-95. Self-understandings of Romania as a mid-point between Orient and Occident shaped both the Orthodoxist rejection of internationalism and their alternative models of transnational cooperation. Unlike expansionist Russian Slavophile messianism, which was confident of Russia’s place as a world power, Orthodoxist Romanians felt themselves to be a “minor” nation, always on the periphery. Fulfilling their manifest destiny, therefore, required transnational co-operation. They had already rejected the “internationalist” models of Western Europe, but pan-Balkan and/or pan-Orthodox solutions offered a way to build international ties without abandoning their ‘Oriental’ exceptionalism. Roland Clark, Luke Clossey, Simon Ditchfield, David M. Gordon, Arlen Wiesenthal, and Taymiya R. Zaman, “The Unbelieved and Historians, Part III: Responses and Elaborations.” History Compass, 15/12 (2017): 1-10. The first two parts of “The Unbelieved” argued for the possibility of the existence of supernatural beings and for their agency in historical writing. This instalment is a roundtable assessing the problems and potential in the category of the Unbelieved and in its knowability. Space limitations prevented our following the rich avenues of further inquiry our extraordinary peer reviewers suggested, but we remain grateful, especially for their reminders of the complexity of motivations of historians who avoid the Unbelieved and their emphasis on the importance of humility as a historian’s tool. Roland Clark. ‘Repositioning Russia: Romanian Orthodoxism’s Appropriation of the Russian Silver Age,’ Landschaft, 3 (2009): 1-30. This article is about an appropriation that did not happen, of an as yet unformed Russian tradition, by men who did not read Russian. 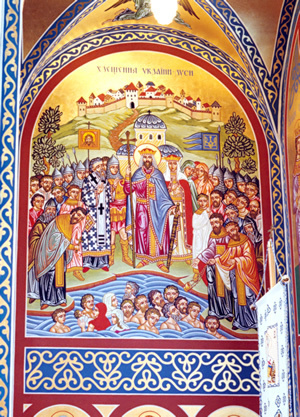 The cultural movement known as Romanian Orthodoxism exhibited many of the trademarks of Russian symbolism and of the religious, Slavophile disciples of Vladimir Soloviev. It emerged in the early 1920s and continued to grow in popularity until the end of the Second World War. Although strong similarities existed between Romanian Orthodoxists and some Silver Age Russian intellectuals, the former were diffident about acknowledging any debt to the Russians, even while they eagerly recognized intellectual debts from elsewhere in the world. Roland Clark. ‘Lev Shestov and the Crisis of Modernity,’ Arhaeus, 11-12, (2007-08): 233-248. 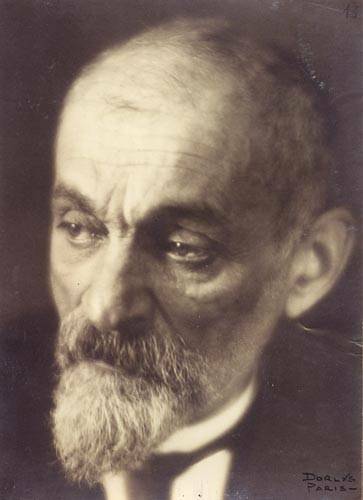 One of the most unique of the Russian religious philosophers who populated first the salons of St. Petersburg and then the émigré gatherings in Berlin and Paris, Lev Shestov (1866-1938) is also one of the most difficult to force into a strict philosophical system. Learning from Nietzsche that God was dead, and that therefore there could be no idea of progress, no meaning in suffering, and no reference outside of the self, between 1897 and 1911 Shestov sought to understand how live as an individual – as an egoist. This stance brought him into contact, both intellectually and personally, with many of the leading figures of European Modernism because his pessimistic worldview found so many similarities with their own. Roland Clark. “The Dark Side in Milton and Njegoš,” Sydney Studies in Religion, 6/1 (2004): 102-119. “A spark, lost deep in earthly dust,” the Montenegrin poet/Prince/Bishop is led by a ray – his own immortal “bright idea” – out of the dark world of “thick gloom” through the seven heavens into the “region of light”, where he is shown the mysteries of the pre-creation cataclysm from which God derived his omnipotence, and of the Fall of men and of angels. Petar Petrović Njegoš (c.1813-1851), author of the Luča Mikrokozma (Ray of the Microcosm), an epic poem that remains quintessentially Slavic despite reflecting strongly occidental influences such as Dante, Milton and Kant, expounds to his readers throughout his narrative a religious dualism that reveals the endurance of Zoroastrianism, Origenism, Bogomilism and Slavic folk legends, as well as Njegoš’s own highly original philosophical speculations. Through a comparison with Milton’s famous epic, Paradise Lost, this paper seeks to shed new light on Njegoš’s religious philosophy as he struggles with the problem of evil and the overwhelming presence of ‘the dark side’ in his troubled mountain kingdom of Montenegro. Among other things, Njegoš’s poem highlights the power of Shelley’s thesis of the usurping tyrant-God in Milton, as well as the difficulties in explaining matter and the ‘nothing’ outside of God when positing an ex deo creation, as both poets do. 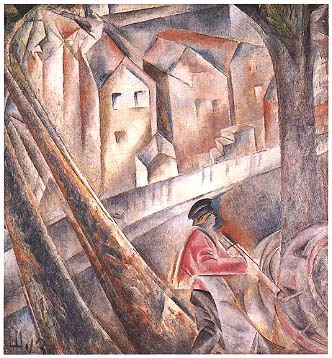 Roland Clark. “Did Baptism Change the Rus’?” Phronema, 18, (2003): 91-108. Robin Horton’s study of African conversion led him to conclude that ‘African responses to the world religions … are responses which, given the appropriate economic and social background conditions, would most likely have occurred in some recognizable form even in the absence of the world religions.’ Examining the ‘Baptism of Rus’’ in 988, one discovers social changes occurring alongside religious conversion and a political environment in which a turn towards monotheistic universalism appears the ‘natural’ progression, but baptism transformed Russian society in numerous and unexpected ways. As well as unifying diverse peoples, encouraging trade and heralding a new era in international relations, official conversion introduced a new clerical class, liturgy, centralized worship, and new conceptions of time, transforming the legal system, kingship structures, art, music, architecture, burial practices and education. This article argues that social changes were channeled in very new directions that were not necessarily ‘in the air’ anyway.